We didn’t mean to become beekeepers. Not so soon, anyway. It was on the list, but in the “some year down the road” category. But last February I saw an ad on Craigslist for a whole setup of bee hive stuff that came with a wild swarm of bees, and we hopped in the truck to go get it all. Got back home, set it up, and thought: “Oh crap. Now what?” We quickly took a beginner beekeeping class and found out all the things we were doing wrong. We adjusted a few things, and then basically left them alone. They started out as a very, very small colony but grew fantastically last spring. 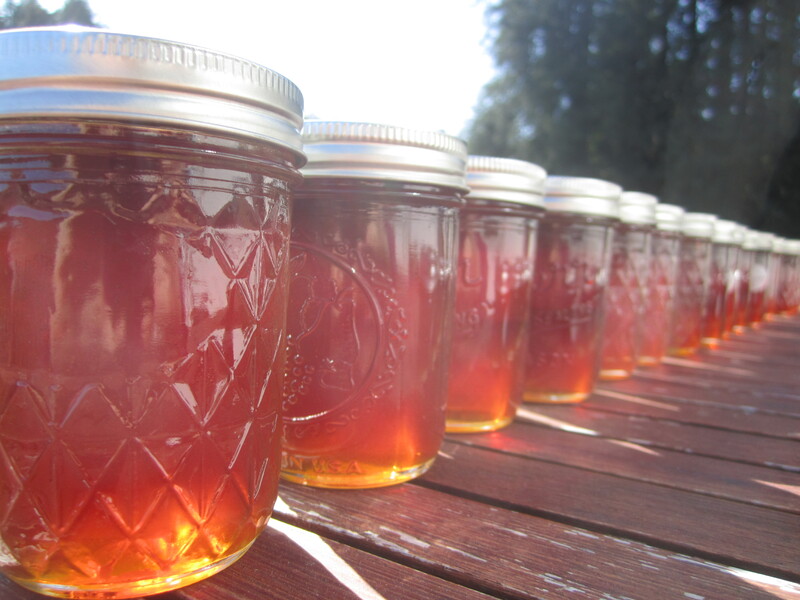 We knew we weren’t supposed to take any honey the first year, to help them through the winter. 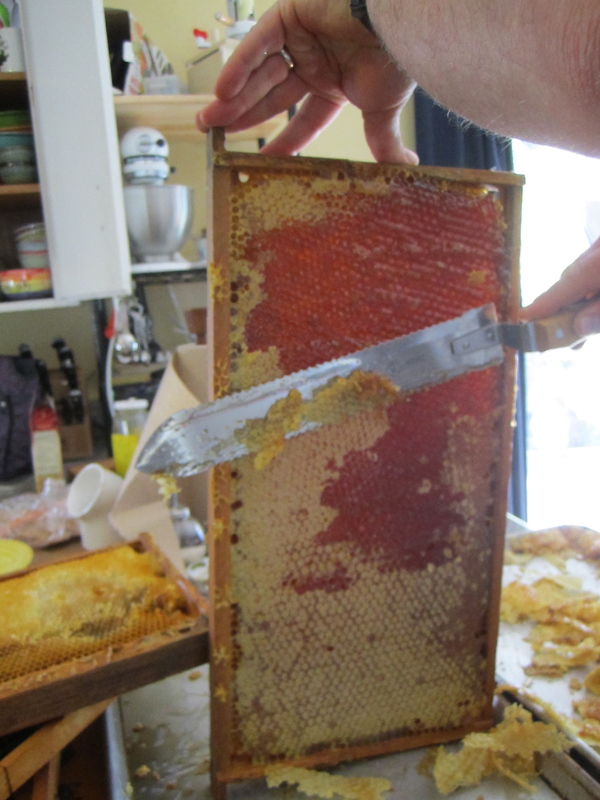 Over the summer they filled up two “brood boxes” with brood (babies) and some honey, as well as a “honey super” which is a smaller box just for honey. And then we left them alone. Which, it turns out, was a mistake. 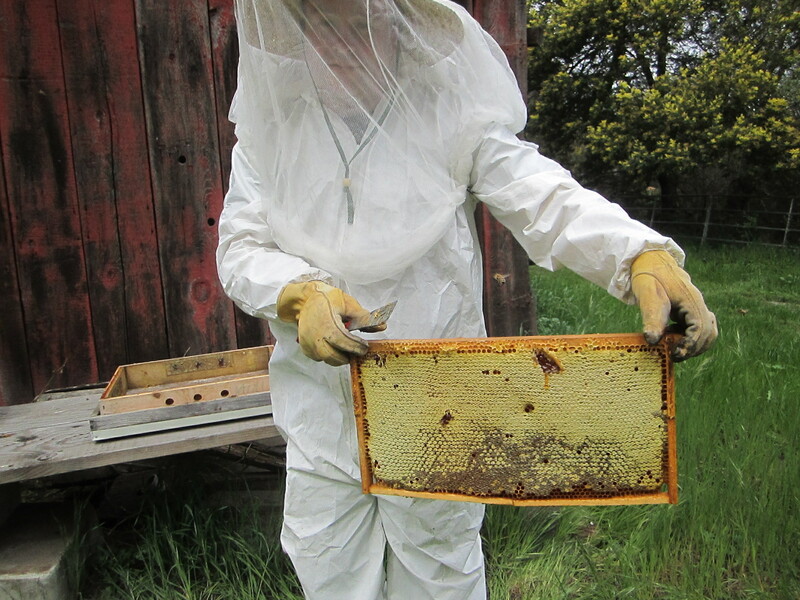 Turns out, over the winter they filled their “brood boxes” with honey instead of brood. Which left the queen bee with nowhere to lay her eggs. From what we can figure, the worker bees knew eggs weren’t being laid, so they figured it must be the queen’s fault. So they killed her and then tried to make a new queen, which didn’t work out. By the time we looked into the brood boxes in mid-March, it was too late. No queen, no babies, dying colony and LOTS AND LOTS OF HONEY. 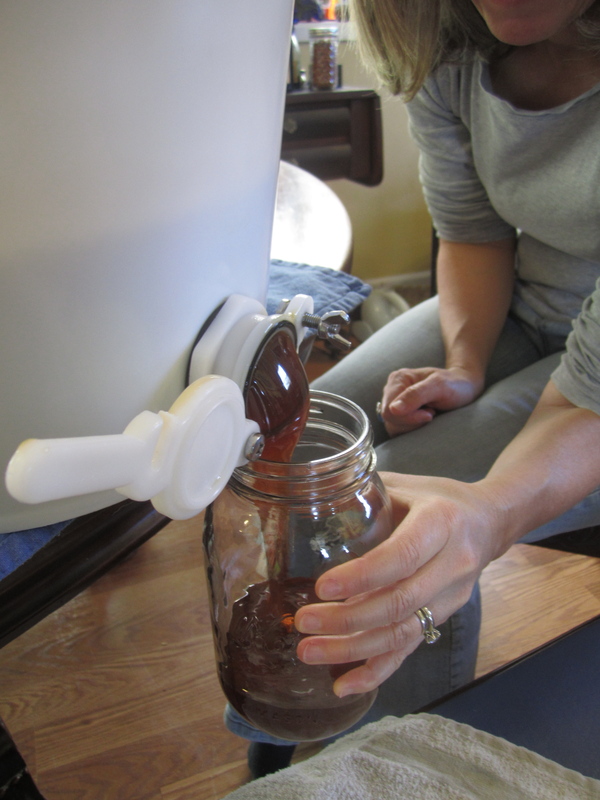 So, we rented an extractor and wound up with over FOUR GALLONS of honey. We don’t even go through a quart a year. 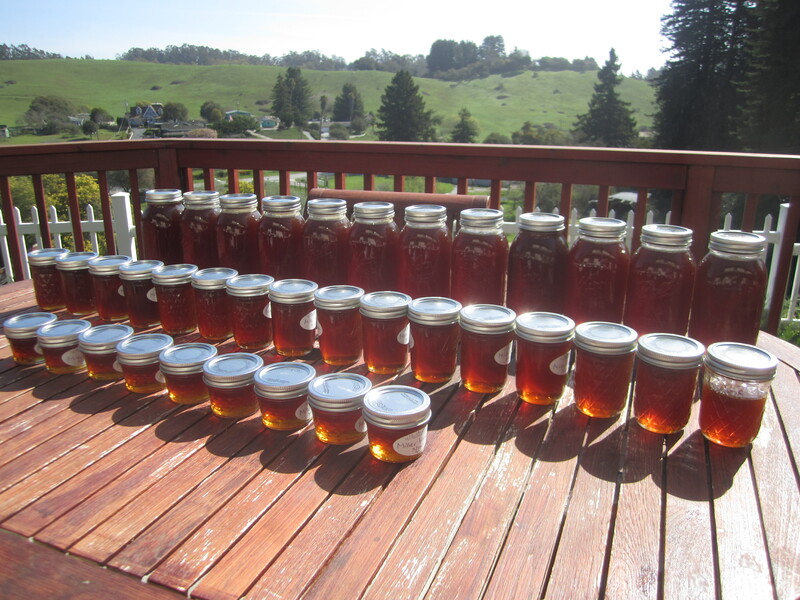 That’s sixteen years worth of honey. Yes, we’ll be selling some, and no, we don’t ship. Except to our mothers, of course. Jason with one frame of capped honey. 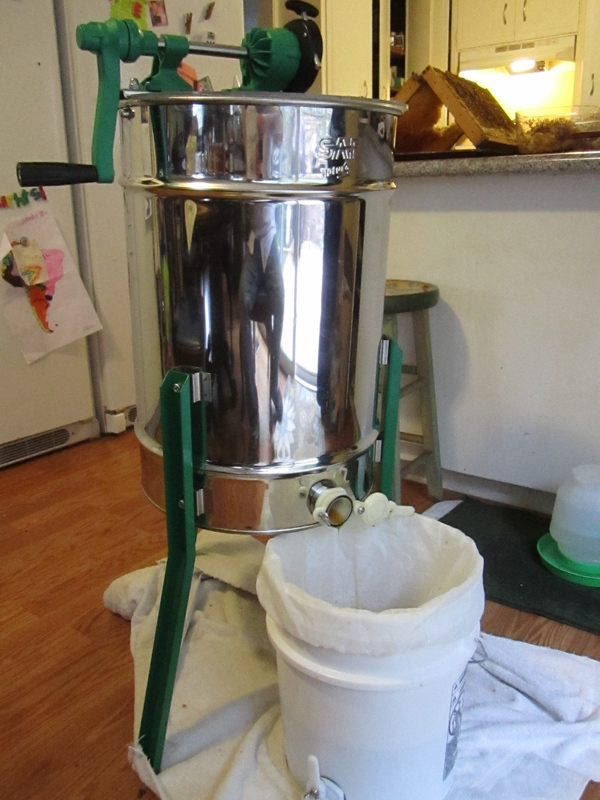 The rented extractor, which spins the honey out. 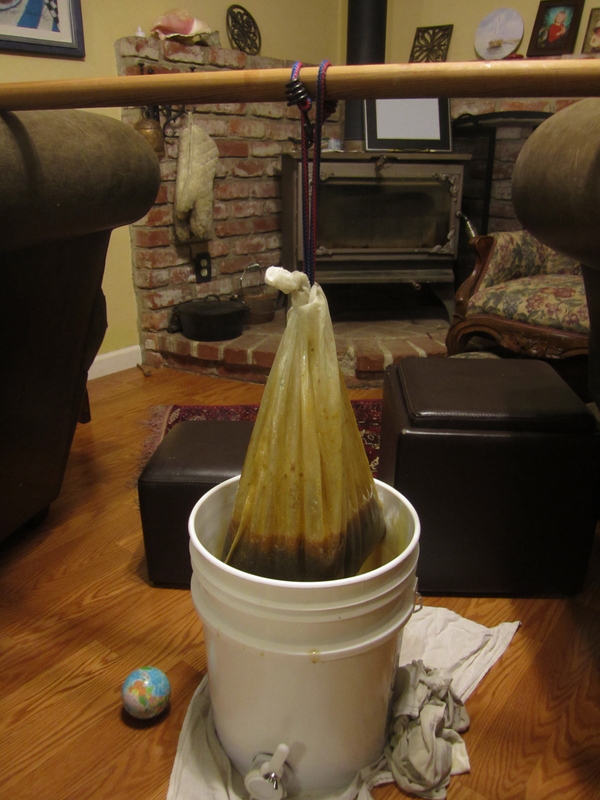 Then we filter the honey through this fine mesh bag. It came out dark and complex, but with no bitterness. Super sweet and delicious! So that’s how we wound up, by our bumbling ignorance, destroying our colony of bees. 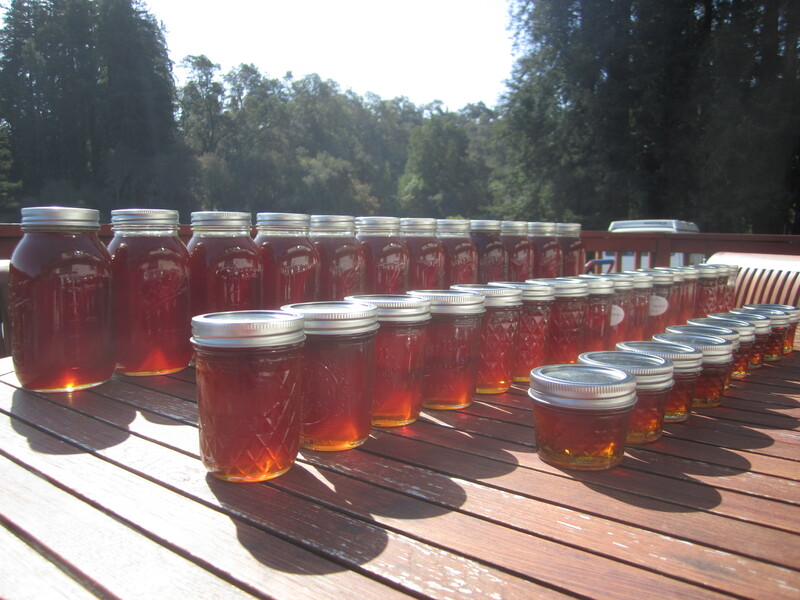 And getting a huge windfall of fantastic honey. I’ve taken another beekeeping class, and it’s one of those “the more you learn, the more you realize you don’t know” things. Bee colonies are very complex, and million things can go wrong. Several people in the class said their bees died, or left, and they got zero honey out of the deal. So, we’ll start again with new bees next month, and try our best. But if we screw up again, at least we’ve got sixteen years worth of honey.